That's what we do. Whether you're in the USA, Australia, Europe or the 'land of the long white cloud', we help photographers everywhere turn their businesses around and grow to where they want to be. 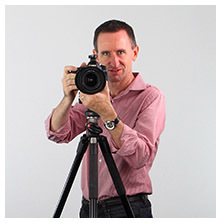 My name is Darryl Stringer, and I’ve been a professional photographer here in Australia since 1998. I started off in business with no skills, no business knowledge, and no idea. Just a little hope that somehow it would work out for me. Persistence, the right training, a supportive family, and a lot of late nights in the office got me through. In that time I learned a lot about what a photographer should be doing, and even more about what we should not be doing. I would be honoured if I could share some of that knowledge with you, and maybe make your journey as a photographer a little bit easier. You want to aim to deliver the best images you can every single time, and don’t stop learning. Why? When you can provide your clients with great images, you maximize their investment. When you help them to present their businesses well, they are going to get more clients, or more sales, or more of whatever it is your photographs are showcasing. And when they do well as a result of the work you do for them, they come back for more, and they tell their friends about you. If you don’t get your pricing right, then no matter how big you get you won’t be profitable. If you can’t have the absolute lowest prices, then having the almost-lowest prices is no competitive or marketing advantage. So, if you aren’t going to have the cheapest price, and the next cheapest offers no legitimate advantage, you might as well stop worrying about where you are on some competitive price ladder altogether and simply present higher prices and sell the value that you can deliver to your clients. Lightroom. Photoshop. RAW. Color temperatures. Layer masks. If you don't understand it, photo editing becomes one of those things you keep putting off. But you can'd do that forever. Start learning about photo editing, move through your images efficiently and professionally, and you'll wonder what you ever did without it. Now marketing is one of those things most photographers hate doing. You want to be out there, taking great images, being creative. But marketing matters. Without it you’re not going to be getting those shoots where you can be creative. Start building your photography business today!